For the Full Printer friendly version click HERE. We will need a signed copy at time of your drop off. Bring a copy with you and save time! 1. Owner specifically represents that he or she is the sole owner of the pet, free and clear of all liens and encumbrances. Owner warrants that the pet(s) health profile and the Owner’s contact information is true and accurate. 2. Owner agrees to pay the nightly rate for boarding effective on the day the pet is checked into the Resort. Checkout time is by closing of check out day. Owners wishing to pick up outside our normal hours must be pre-arranged and done within an hour of regular business hours and will be charged an additional $10. 3. Owner specifically represents to the Resort that, to the Owners knowledge, the pet(s) have not been exposed to any contagious diseases within a thirty day period prior to check in. During the period of this Agreement, Owner also agrees to notify Resort of any known exposure to communicable disease and hold pet(s) out of attending the Resort until pet(s) is symptom free for 10 days or with written veterinary clearance. 4. By signing this Agreement and leaving the pet(s) with the Resort, Owner certifies that all information they have provided to the Resort in the Pet Health Profile pet(s) is accurate. Owner further agrees to advise the Resort of any change in the Pet’s Health Profile. 5.Owner acknowledges that they are aware that their pet will be boarding in close proximity with other pets and therefore there is a risk that their pet could contract an air-born and/or communicative disease(s) at no fault of the Resort. The Owner acknowledges that the Resort will not be responsible for any damages or expenses relating to air-born and/or communicative disease(s). 6. If pet(s) become ill, or if the state of the animal’s health otherwise requires professional attention, the Resort, in its sole discretion, may engage the services of a veterinarian or administer medicine or give other requisite attention to the pet(s). 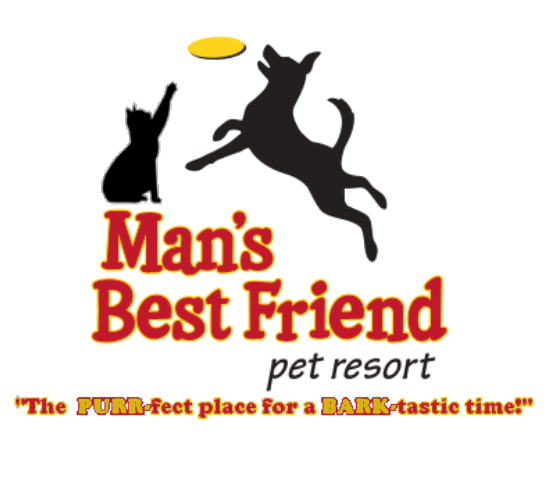 The Resort will make every effort to contact the Owner for instructions concerning the Pet(s), medical needs. However, in the event the Owner cannot be contacted and urgent care is required, the undersigned Owner grants the Resort his/her power of attorney to take all reasonable actions concerning the health, safety, and welfare of the pet(s) with the advice of a treating veterinarian. 7. Owner further agrees to pay all costs and charges for special services requested and all veterinary costs for the pet(s) during the time said pet(s) are in the care of the Resort. 8. All charges incurred by Owner shall be due and payable upon check out of pet(s). Owner agree that the pet(s) shall not leave the Resort until all charges are paid for in full. The Resort shall have, and is hereby granted, a lien on the pet(s) for any and all unpaid charges resulting from the pet(s) stay at the Resort. The Owner hereby agrees that in the event all charges are not paid by Owner at time of scheduled check out date, or if Owner does not reclaim the pet(s) within seven (7) days of scheduled check out date, the Resort may exercise its lien rights upon ten (10) days written notice of the Owner’s right to cure the nonpayment sent Owner by certified mail to the address given to Resort by Owner upon registration. The Resort may sell the pet(s) for any and all unpaid charges at private or public sale, in the sole discretion of the Resort, and Owner specifically waives all statutory or legal rights to the contrary. If such sale should not secure a price adequate to pay all costs of all charges for services rendered, plus any costs associated with the sale of the pet, then Owner shall be liable to the Resort for the difference. 9. If an Owner does not reclaim the pet(s) by the check out date and does not make any contact in writing with the Resort concerning the care, treatment, or custody of the pet for 30 days following the check out date, the Owner agrees that the pet(s) has been abandoned by the Owner, and the Owner claims no further interest in the pet(s). In the event of an abandonment, the Owner grants the Resort his or her power of attorney to dispose of the animal by sale, gift, or euthanasia, and waives all claims for return of the pet(s) or damages arising from the disposition of the pet(s). 10. The Owner acknowledges that they are aware that their pet(s) will have the opportunity to play outside during their stay at the Resort. As such, the pet(s) could get dirty and muddy and could become in contact with flea and ticks. The Resort is not responsible for the cleanliness of your pet(s) upon checkout unless you sign up for grooming services. We strongly recommend that all pet(s) staying at the Resort be current on Flea & Tick and Heartworm Medicine. 11. The Owner acknowledges that they are aware that their pet(s) will have the opportunity to play with other pets during their stay at the Resort. If Owner chooses to allow their pet(s) participate in group play with other pets, Owner recognizes and accepts all risks involved in such activity. These risks include injury or death from biting, and the transmission of communicable diseases, or impregnation. The Owner waives all claims for damages which may be incurred by the pet during group play time. The Owner further agrees to be solely responsible for any and all acts or behavior of said pet(s) while it is in the care of the Resort, to include payment of costs for injury to staff and/ or other pets and/ or for any damage to the facilities caused by the pet(s). 12. Any controversy or claim arising out of or relating to the boarding of the pet(s) or this Contract or the breach thereof, or as the result of any claim or controversy involving any party to this Contract shall be resolved within the exclusive jurisdiction of the Cass County Circuit Court and any such claim shall be exclusively venued in Cass County. THE PARTIES EXPRESSLY WAIVE THEIR RIGHT TO A JURY TRIAL OF ANY DISPUTES. In the event of a judgment entered in favor of the Resort, the Court may award to the Resort the costs of such suit and the Resort’s reasonable attorney fees. 13. If the pet(s) develops health problems after release, then Owner must obtain two (2) different unrelated by business association, veterinarians’ diagnosis of the health problem and both must be in agreement that the health problem originated while in the care of the Resort. 14. The Resort agrees to exercise reasonable care of the pet(s), but shall not be held liable for loss, damage, theft, or injury to the pet(s) in excess of the of the charged boarding fees or the sum of $300, whichever is less. 15. This Contract contains the entire agreement between the parties. All terms and conditions of this Contract shall be binding on the heirs, administrators, personal representatives, and assigns of the Owner and the Resort. Owner agrees to pay all costs and charges for any services requested on the date the pet is check in. We do not bill clients. Must be paid the day the pet is picked up. We accept cash, check, MasterCard, and Visa.